Imagine you are presenting to senior management’s Innovation Committee. You have been working on a breakthrough innovation for months, your project has passed the screening phase and the Innovation Committee is going to listen to you. You have 10 minutes to explain your innovation and why the committee should fund your project. Minutes later, 4 more teams will present to the same senior management committee their innovative product or service. How do you make sure your project is selected and stands above the rest? How many times have you attended a 60-minute technology review where different teams share their projects ideas to the rest of the department or company? Each team has 10 minutes to present their concept and to field questions from the audience. How many of those teams have 15 page presentations? How many teams have over 25 slides? Technical teams tend to develop lengthy presentations, much longer than the time allows. These presentations exude data, all the technical specifications, product features, test results, theory, etc. Anything and everything about the project somehow appears in those presentations, yet they only have 10 minutes, to present and answer questions. Which presentation stands up and which do you remember? Recent research shows that when information is presented with data and statistics the audience retains between 5-10% of the information. On the other hand, an audience can retain over 60% of a story. Furthermore if the audience identifies with the story, information retention leaps to 85%. Storytelling is a communication technique that consists in crafting a story that enhances the project, product, or brand while emotionally connecting with the audience. A good presentation must seduce the audience while providing the required information. Innovators dedicate the majority of their time developing their breakthrough product or service, but little if any to their communication plan. 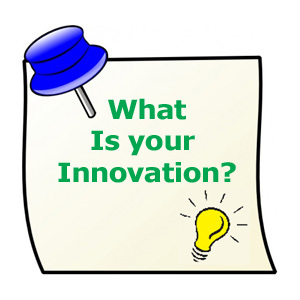 Often innovators believe that because they have the best technology, product or service the customer will come to us. However, we must always keep in mind that we are competing for the attention of the customer and the audience. You must remember, that your audience doesn’t usually buy into a project or technology, they buy into the emotion, the experience they will get from the technology or product. As we craft and tell the story the audience must identify and connect at an emotional level with the project or technology. If your committee or customer is emotionally connected with you or your project, it will get the support you need. Storytelling is a new skill every innovator must posses.